Low Noise Studio Quality :: High Quality Dustproof Pot. The RICHTER MX1, MX2 active mixer preamp combines two buffered high impedance inputs via a blend potentiometer to one output. An additional cermet trim pot in channel 1 of the MX2 circuit provides a matching between both input signal levels by attenuation the IN1 signal. 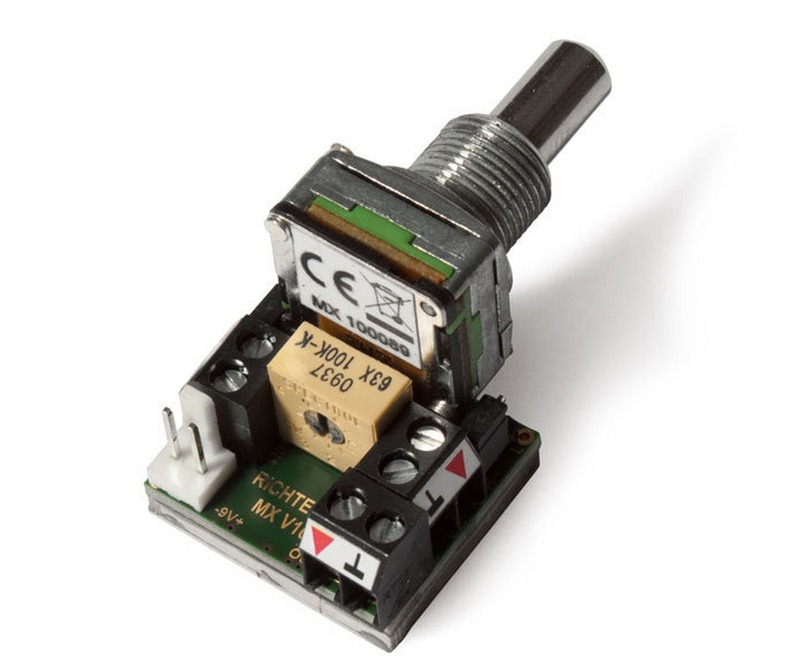 Two screw terminals for easy and solder free connection of signal sources - magnetic- or piezo-pickups are a guarantee for quick and easy mounting inside your instrument - ideal for luthiers and replacement. 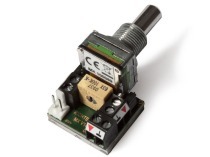 This fully shielded circuit requires no shielding inside the instrument. We use only the best quality components on market available. sound reproduction without signal losses. Low tolerance film and COG capacitors in the signal path featuring lowest distortion and superior linearity. MX2 only, Input 1: Level matching via trim pot.